If the prospect of fighting with hoards of Christmas shoppers fills you with dread, we’ve got a rather nifty way for you to get your gluten free hamper or send one as a personalised gift while missing the Christmas rush. Order one of Christmas hampers today and you can book delivery on any day you wish before Christmas (last orders 20th December). So instead of frantically flicking through our gift baskets, grab a fresh brew and savour our selection of the finest gf foods and drinks. 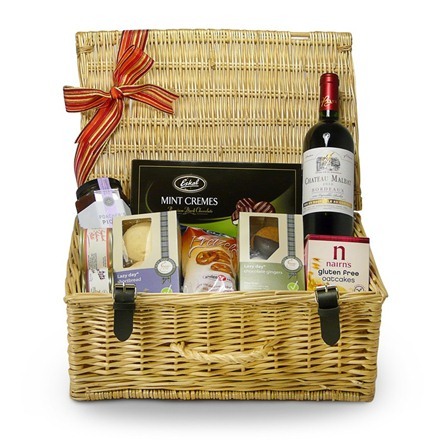 Because you can be rest assured that your Christmas hamper will arrive when ever you decide. Leaving you with all the time in the world to find that perfect gift… you know, the one your partner will be giving you for Christmas. 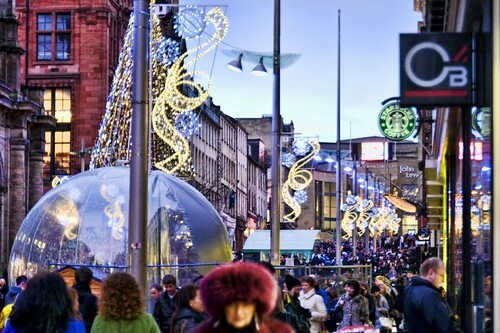 Imagine how simpler the festives will be when your order your Christmas hampers and book your delivery today. Looking for Christmas Gift Hamper Ideas? 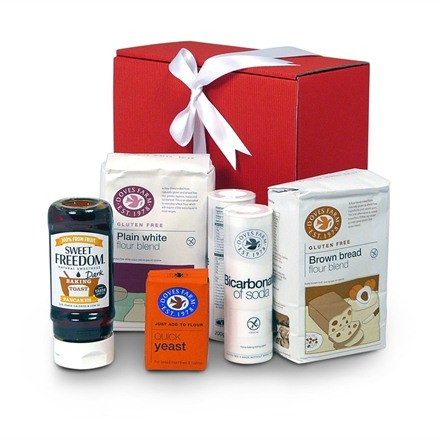 Designing our gluten free gift hamper range has been really exciting. Along the way we have met farms and food producers that work in close relationships with gluten free groups and nutritionists to develop award winning products. The tastes they have created are sublime. Have a try. And here are some gift ideas for you. Christmas is always a feast of flavours and that’s why we’ve picked our tastiest seasonal goodies for our luxury gluten free Christmas hamper: fruity pickles, buttery shortbreads, mulled wine spices, deep filled mince pies and so much more. Even sweeties to nibble on while you’re enjoy the Boxing Day movie. Move over Paul Hollywood! If you’ve a friend or work colleague who is a whizz in the kitchen, our Baker’s Essentials hamper has all the makings for delicious sweet and savoury bakes. Everyone enjoys a little indulgence. Especially at Christmas time and the beauty of our Gluten Free Indulgence Hamper is it is not for the kids. So whether you are buying this gift hamper for your sister, best friend or mum, she will know it is JUST for her – a full-bodied Bordeaux, patés and mouth watering chocolates. Definitely for when the children have gone to bed. So here are just a few of our ideas. Have we missed anything? 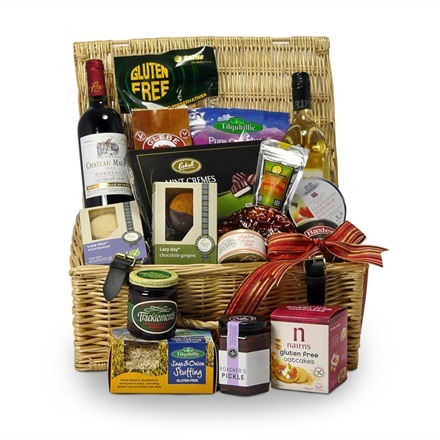 What would you like in your gluten free hamper this year?